GILBERT – Early in the morning about 100 people waited eagerly at the gate of a farm with their yoga mats. As soon as everybody was checked in and in place, the goats were released. AZ Goat Yoga is the creation of April Gould, who owns the farm and her business partner, Sarah Williams, the yoga instructor. “It’s just a lot of fun for people to get to know people that are in their community and the goats jump on you throughout the class,” Williams said. 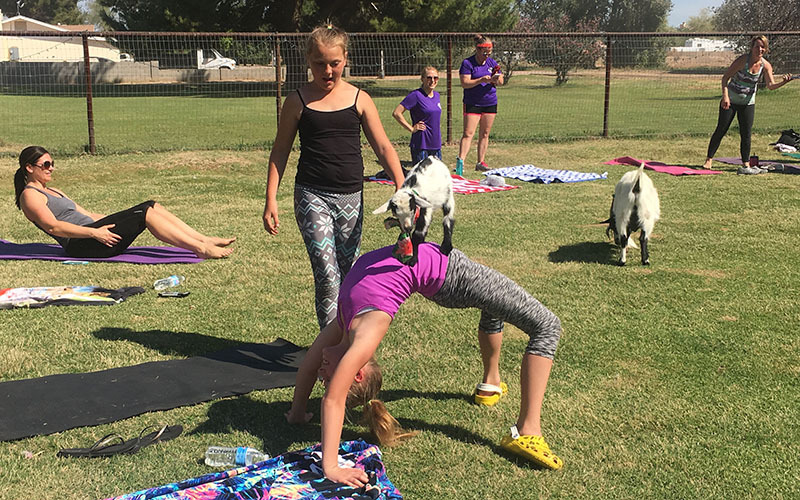 Goat yoga originated in Oregon and the trend has spread across the nation. For Gould and Williams, the idea of starting a class was a way to combine their two passions. “She does yoga and I have goats and we wanted to do a business together and goat yoga just made sense,” Gould said. Once the yoga class begins the laughs and smiles appear along with the goats. Children who come to the class wait patiently for the baby goats to hop on their backs while their parents try to capture the perfect picture. Gould’s three children are responsible for training the older goats and helping the baby goats who need a hand getting used to the class. 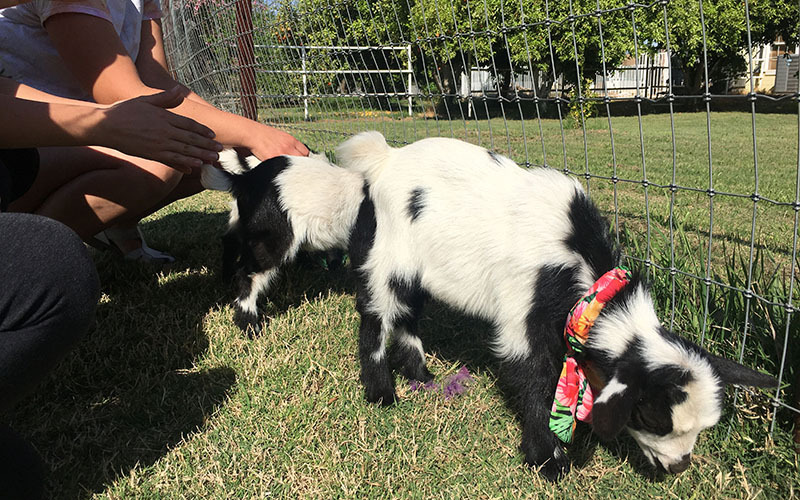 “My kids and I will put them on our backs and give them treats and positive reinforcements and then they had babies and the babies just wanted to follow their moms and now they’re so good at goat yoga,” Gould said. Gould and Williams say their reward is the reaction from their visitors.